The couple is all smiles as they await the birth of their little one. 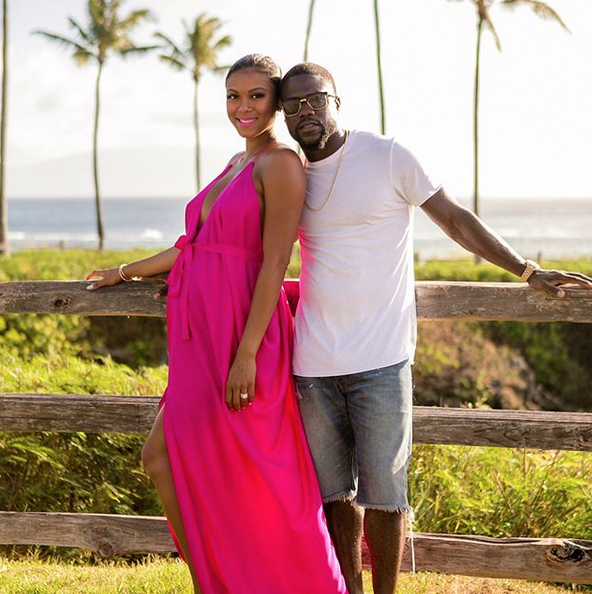 Since Kevin Hart and his wife Eniko Hart announced that they’re expecting their first child together, the couple has continuously provided us with adorable parents-to-be moments on Instagram. When you are around eight months pregnant and still slaying in Vegas, this mama deserved to change out her heels for some flat sandals. A spectator couldn’t wait to crack jokes on Eniko but Kevin held his wife down. Eniko could have stayed in Los Angeles during Hart Beat Weekend but why should Kevin have all of the fun? The momma-to-be gave it her all during her last hoorah before the baby and Kevin was right by her side. The Harts turned heads at the Hart Beat pool party. Eniko displayed all of her bump glory and Kevin loved on her for it. The adorable moment was the perfect way to end the fun-filled weekend. Who says you can’t slay while preparing for parenthood at the same time?